Fires not only destroy your home and your personal possessions, but the smoke can further damage any unscorched remains. Many times, a neighboring fire can damage to your home in the form of fire, smoke or soot. Fire damage and smoke damage is devastating and essentially renders your home unlivable or your business inoperable. In such circumstances you could be left with nothing. However, your insurance policy likely provides coverage for fire damage and smoke damage. Your insurance policy will typically provide several different coverages which would apply to a fire loss or smoke loss. Insurance policies can provide coverage for the damages to the building, the cost to remove the debris, and the cost to pack out and store undamaged property so that your home or business can be returned to its pre-loss condition. 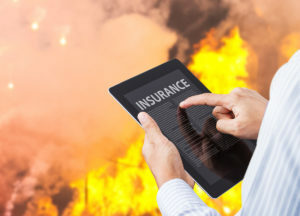 Insurance policies also provide coverage for the additional expenses you will incur as a result not being able to live in your home, such as hotel or housing accommodations, and the extra costs of traveling, meals, and everyday living that you would not incur had the fire loss or smoke loss not occur. As to your business, your commercial insurance policy may provide coverage for loss of income or business interruption caused as a result of the fire loss or smoke loss. Makris & Mullinax, P.A. is a Tampa Bay insurance claim law firm specializing in homeowners insurance claims and commercial property insurance claims, including fire insurance claims and smoke insurance claims. If you experienced damage to your home or commercial property caused by fire, smoke or soot, please contact us promptly for help. If your insurance company is delaying your fire or smoke claim, denied your fire or smoke claim, or underpaid or low-balled your fire or smoke claim, contact us today.